In the world of real estate, technology is advancing at a tremendous pace, so it’s hardly surprising that real estate brokers, as well as agents, might feel rather overwhelmed when deciding on an approach for their digital marketing strategy. Real estate lead generation has the potential to pose a serious challenge in an ultra-competitive market. That’s why it will be important to keep in mind specific strategies that are successful in your local market on top of developing new tactics according to the latest trends. In this article, we take a look at the top 20 most effective lead generation approaches for the real estate industry, so you can keep attracting buyers and sellers and curating a dynamic online presence for future success. What Is Meant By Lead Generation For Real Estate? Lead generation can be defined as the process of attracting and also converting potential purchasers into full-fledged clients (with or without a co-signed interest) who buy into your brand’s offering. Generating leads in real estate can offer up many challenges, which include figuring out the most effective websites and software to utilize, and so forth. However, marketing strategies that prove to be successful in other types of industries are also applicable to real estate business, and effective lead generation happens to be a critical component to any solid real estate marketing strategy. Follow these top 20 lead generation tactics in order to grow your brand, expand your reach in real estate, and increase sales! Apart from being a fantastic tool for networking, LinkedIn is also a great place for online lead generation for any real estate broker. Consequently, your agency ought to think about optimizing its overall LinkedIn presence by making a professional profile that also remains unique and interesting to other users. Making use of the advanced search feature provided by the platform is a great way to potentially generate leads by means of identifying any promising contacts within your market, sharing informational statistics and content, and also interacting with groups. According to many digital marketing experts, creating leads on Facebook is as simple as posting photographs of your property as well as listing-specific content that will entice followers and other users who stumble across your profile and/or posts. Facebook’s advertising platform is cost-effective and also allows you target specific segments and demographics of your audience. As far as content for your Facebook Ads goes, you can promote community events, seasonal content, or property buying and maintenance (a major draw for homeowners). For any successful marketing campaign or strategy, it’s important to know about the people you’re trying to reach. When creating digital ads and content, you’ll want to anchor your overall messaging for optimal conversions. Thus, you’ll need to know the various demographics and sub-groups within your audience(s) to know how to reach them best. What social media platforms do they use? What sort of digital content do they consume–videos, articles, blogs, etc.? The more time you invest in market research towards your potential customers and the new audiences you want to reach, the better chances you have of capturing their attention and engaging them online. The majority of first-time property buyers are quite uncomfortable while interacting with real estate agents because they aren’t as knowledgeable about the ins and outs of the buying or selling process and the inner working details of the real estate industry at large. 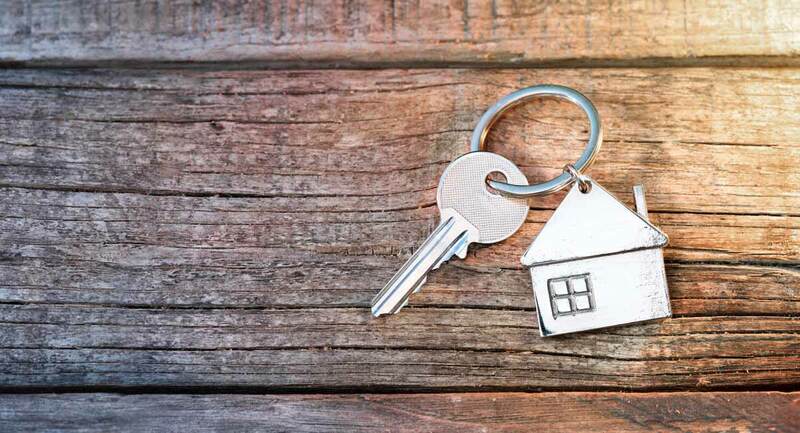 Experts recommend hosting a seminar intended for first-time buyers, helping them create leads while also gaining the valuable trust of individuals who are already contemplating on purchasing a new abode. It is imperative to devote some time for planning and also promoting educational events in your locality that offer top-quality content and useful information–then remaining available for answering all of your audience’s questions and queries. As you know by now, experts recommend making use of social media profiles such as LinkedIn, Facebook, and etc. as well as local conferences and forums for engaging prospective clients and generating leads. Whether you’re interacting online or in-person, try to remain personable and relatable to whoever you’re networking with by sharing your preferred hobbies–which could include carpentry, mountain biking, cooking, painting, or etc. This will ultimately help your audience understand and trust you better while also adding unique flair to your brand, so you can stand out among all of the other realtors in your area. When it comes to real estate, it’s advisable to start a referral system in the initial stages rather than after the sale. However, it’s likely that you’ll come across buyers and be able to talk with them regarding successful procedures. This will be a fantastic opportunity for you to get the ball rolling early by explaining the importance of getting referrals to your company plus real estate since they might also be a referral on their own. All these conversations are actually opportunities for guiding a referral. Real estate agents have been observed to generate at least a couple of new leads from every client by making use of an easy system similar to this. Considering the typical cost-per-lead in the real estate industry, incorporating a referral system into your strategy can save you money all year round. One fantastic method to establish your goodwill on the market is to allow your clients to speak on their own. Encouraging past and current clients to leave reviews gives you the opportunity to hear their voices and go above and beyond when it comes to customer service. Make it easy for customers to leave feedback by creating a review page on your site–or even share reviews on significant real estate platforms. You can also make video clip that features a stream of positive feedback from clients. Consider establishing a referral program for present customers to become representatives within your network while distributing information regarding their successful real estate purchase or sale. When thinking of readable content related to real estate, the first thing that might come to mind is an email newsletter. Email marketing is an effective way to distribute information on a regular basis to subscribed leads, providing helpful tips and insight regarding interest and mortgage, rates, market trends, and your current available listings. However, keep in mind that newsletters shouldn’t be the only option for your audience(s). For instance, it’s possible to launch a community magazine that announces upcoming events along with useful information concerning local real estate industry statistics. A blog happens to be another powerful resource that you can integrate into your website easily. For a successful real estate blog, be sure to offer information that provides invaluable market expertise and insight for prospective buyers regarding purchasing and/or selling a property in your area. A blog is also a wonderful opportunity to add a personalized touch to your digital presence–don’t be afraid to be relatable to your readers! One extremely robust marketing tool for any real estate agent out there happens to be emphasizing and offering the very best in customer support. Providing a free consultation will help grow your roster of prospective clients, and it’s your responsibility to make it easy for potential customers to contact you. It doesn’t matter whether in-person, over the phone, or via email, it’s extremely important to show your audience a degree of investment in remaining available to offer them personalized services. Overall, this will generate more interest and motivation, converting leads into clients and facilitating purchase decisions. With consistency, this approach will aid you in establishing a positive reputation on the market–given that various customers will offer glowing testimonials and provide referrals after having such a stellar experience working with you. Modernizing your site or blog along with continually publishing useful content not only improves your role as an expert in your industry, but likewise, it boosts your organic rankings on search engine results pages. Research some of the most difficult queries and topics relevant to your audience. For a successful content strategy that increases online engagement, you’ll want to provide information that genuinely helps your target audience(s), which in turn only further establishes you as a local real estate expert. Spotlighting past or returning clients is another great way to generate engaging content and build your repertoire of case studies, making your strategy even more versatile and personable. One surefire method to drive traffic to your website will be organizing and building a real estate blog audience that becomes an online community for not just local listings but valuable information on trends and changes in the real estate market. In order to optimize your blog better for generating leads, you can always experiment with different types of real estate topics and concepts. Generally speaking, it’s important for blog content to be useful, interesting, evergreen, high-quality, and long-form (1000+ words). In addition to these factors, consistency is key. At the very least your company should be publishing content of some form once a week. Keep in mind that many leads originate from organic searches on Google. For example, as many as two months can be spent building out search engine optimization (SEO) for any particular website before even launching business. In this case, the owner is investing in a marketing channel for free leads without excessive involvement or a substantial marketing budget. Similar to any other social networking platform, Twitter is a simple and useful solution for sharing valuable content material with followers and converting those individuals into eventual customers. With over 400 million monthly users, Twitter would be a fantastic way to procure your listings in front of potential buyers online. Furthermore, it’s been predicted that more than 80% of Twitter users currently utilize the platform for marketing any particular brand. Nevertheless, you will come across several guidelines which must be followed when using Twitter for generating leads and increasing brand awareness. Local press coverage is when your brand is mentioned or discussed by the publications, T.V. stations, or radio programs in your area. If you want to increase your overall exposure and credibility to the public, it will be prudent to generate more local press coverage for your company by establishing connections with publications, journalists, and news channels. Start out by publishing press releases on a regular basis. You can learn more about press releases and how they can help your business here! If you’re a realtor who’s also interested in architecture or interior design, there is a huge possibility that you’re a Pinterest buff too. According to some experts, Pinterest might also be a wonderful location for generating leads that need real estate services. If you devote some time on Pinterest, your clients can turn to you when looking for an appropriate tile in a contemporary kitchen. Remarketing or retargeting implies showing advertisements to your site visitors after they have left your site. For this, you need to include retargeting into a lead generation technique which will require specific coding within the specific web page you’re trying to promote for lead conversions. Even when a visitor has departed from your website, the code will follow him or her right up to Facebook where they will be able to see your advertisement, thus remembering the property listings in the long run. A backlink is when a particular website URL is linked to any other site or webpage. If you’d like to increase web traffic for generating more leads, striking up a partnership with industry leader sites will enhancing your exposure and increase your domain authority on the web via backlinks. For instance, you can offer reviews starting with your own personal blog and also ask for backlinks from any other real estate blog out there–which will help build awareness of your brand over time. Even though it might seem funny at first, putting on a name tag at any networking event, seminar, or open house where you’re going to see and meet prospective customers will be a fantastic way to generate more leads in the long run. According to some experts, it is also possible to enhance your brand publicity by sporting branded merch such as hats, shirts, or even laptop cases (which are perfect for traveling). If anybody notices your logo then poses a real estate question, asks about your listings, or even mentions anything about your business, be ready to tackle him or her with a proper business card or even a brief elevator pitch. Showcasing your achievements on social media, your blog, and also off-page communications with the community at large happens to be an outstanding method for lead generation. One particular expert stated that sharing your achievements and awards on social networking platforms along with spotlighting satisfied customers is a wonderful solution for enhancing your area of influence, thus generating an increasing number of leads. Just don’t forget to secure written permission from your customers first. Although radio has become quite outdated, it’s estimated that at least 50 million Americans are still avid podcast listeners, and the numbers are increasing day by day. A lot of real estate podcasts are intended for industry professionals looking to expand their know-how as well as updates pertaining to the ever-changing real estate market. Nevertheless, a podcast is a great potential tool for interacting with prospective sellers and home buyers. Lead generation for real estate will allow you to attract a huge amount of traffic to your website, which will allow you to expand your overall reach and increase sales in the long run. It will be possible to generate leads by optimizing your digital assets, interacting with your neighborhood offline, and so on. If you’re a real estate professional who wants to stand out from the competition, RealtyTech Inc. provides solutions that keep your business on the cutting-edge. For over 15 years, RealtyTech has delivered impressive results for thousands of clients in need of digital services including: Internet Marketing, IDX Home Searches, and so forth. On top of this, we have the leading reputation for producing outstanding online tools that are simple-to-use as well as intuitive for end-users and web visitors alike. For more information on the digital marketing assets RealtyTech can provide for you, please contact our savvy team today at 805-413-7888! 5 Tips for Real Estate Success!